D111 Cedar Reef Villa is located in the Cedar Reef building on the private beach community of Harbor Island, South Carolina. Harbor Island neighbors Hunting Island State Park and St Helena Island. 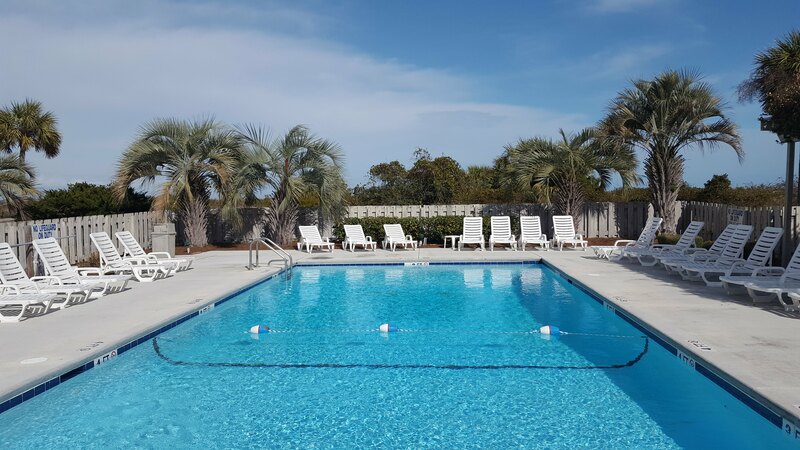 The community is a beautiful twenty-two minute drive from Historic Beaufort and the Henry C Chambers Waterfront Park. 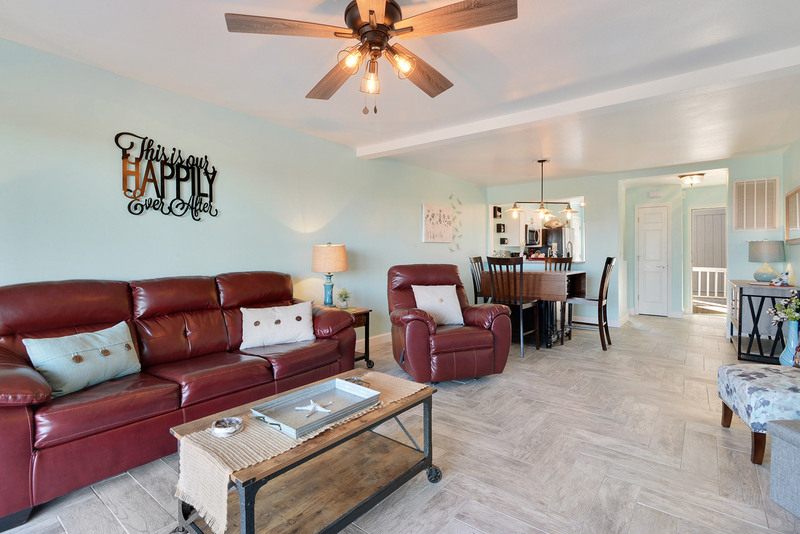 This beach vacation condo offers one bedroom and one and a half baths. It has all the creature comforts of home to make you feel right at home. 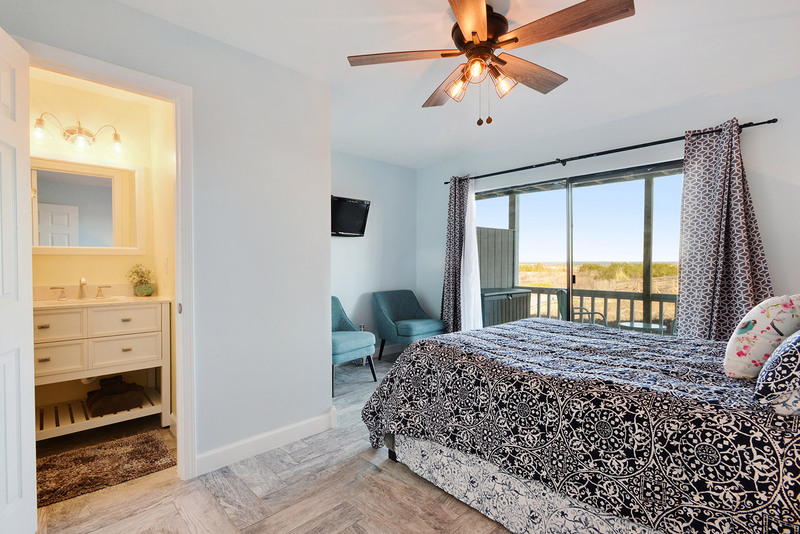 This condo is on the main floor of the D building, which makes it convenient to the board walk to the beach, the building’s community pool, and the community green space. This beach condo provides Wifi, cable TV, bath towels, and bed linens. Unfortunately, it does not accommodate pets. The condo’s decor is attractive, and the floors are gorgeous. The condo’s living room has a comfy recliner and the couch converts into a sleeper sofa for additional sleeping arrangements. 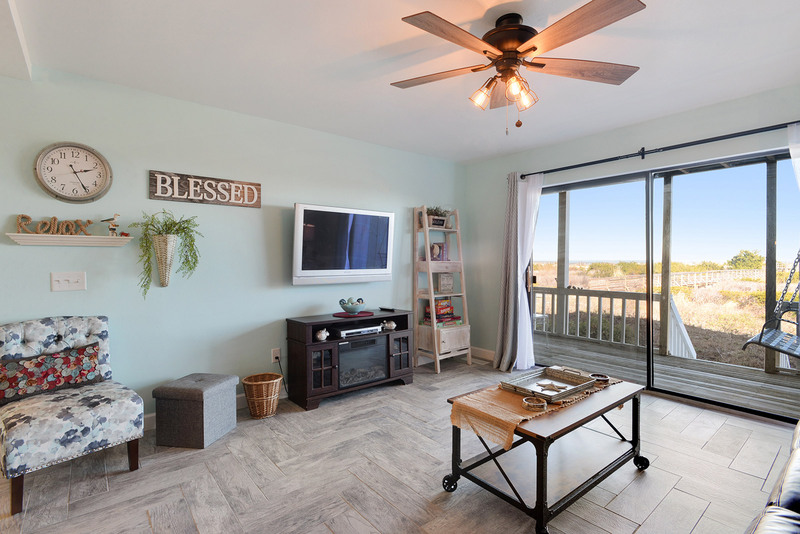 The sliding glass door opens onto the deck, and there are steps that lead right to the boardwalk! Get to the ocean in two minutes. 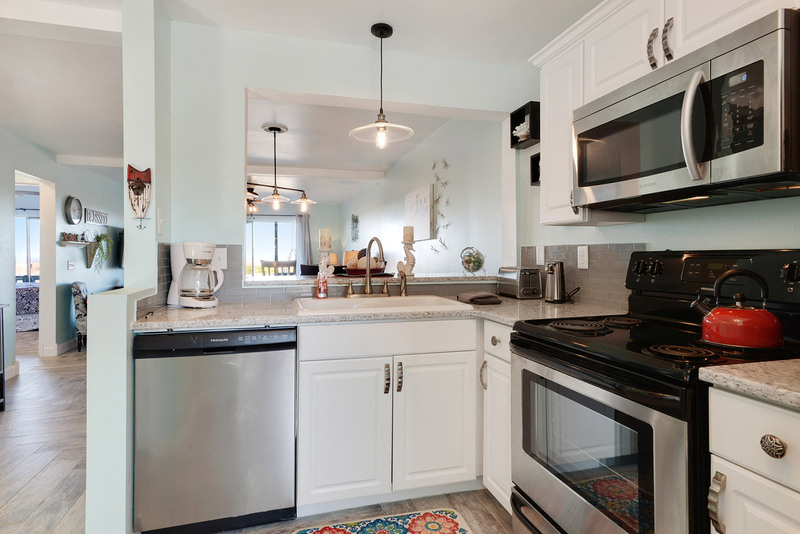 The full kitchen allows for easy cooking during your stay. The dining room table seats four. The bedroom is nice and spacious. It has a king size bed, cable TV, and its own private open deck. It also has a private bathroom. Enjoy the view during your vacation. This condo sleeps four people, comfortably. Harbor Island offers great amenities including fitness center, tennis, basketball, volleyball, and Olympic size pool and kiddie pool. Bike rentals are offered at the Beach & Racquet Club, as well as snacks at the snack bar. The island has over two miles of pristine beach. There are several boardwalks to access the beach, and plenty of good spots for crabbing and fishing.